French dressing, salsa and taco seasoning combine to make a chunky, flavour-packed dressing for this lettuce and chicken salad. 1. Mix the dressing ingredients together, in a small bowl, until combined. 2. 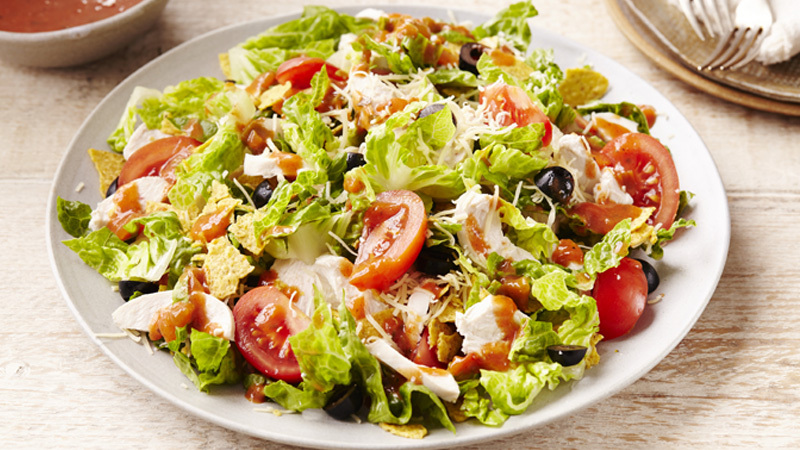 Mix the lettuce, chicken, crushed Nachips™, cheese, tomatoes and olives in a large bowl, then pour over the dressing and toss gently to coat. 3. Divide the salad evenly between 4 plates and top each with a dollop of soured cream. 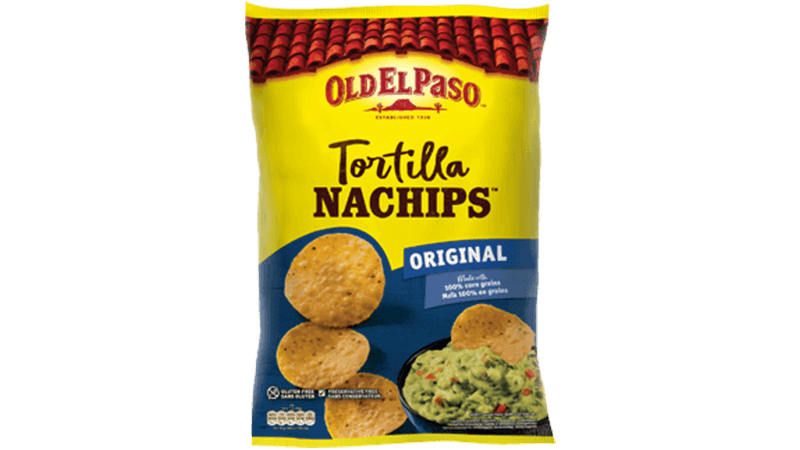 Arrange Nachips™ around the edge of each plate. After preparing the dressing and salad, cover each separately. Chill in the refrigerator until ready to serve. Just before serving, mix together. Add lime juice to the dressing for an extra zing.